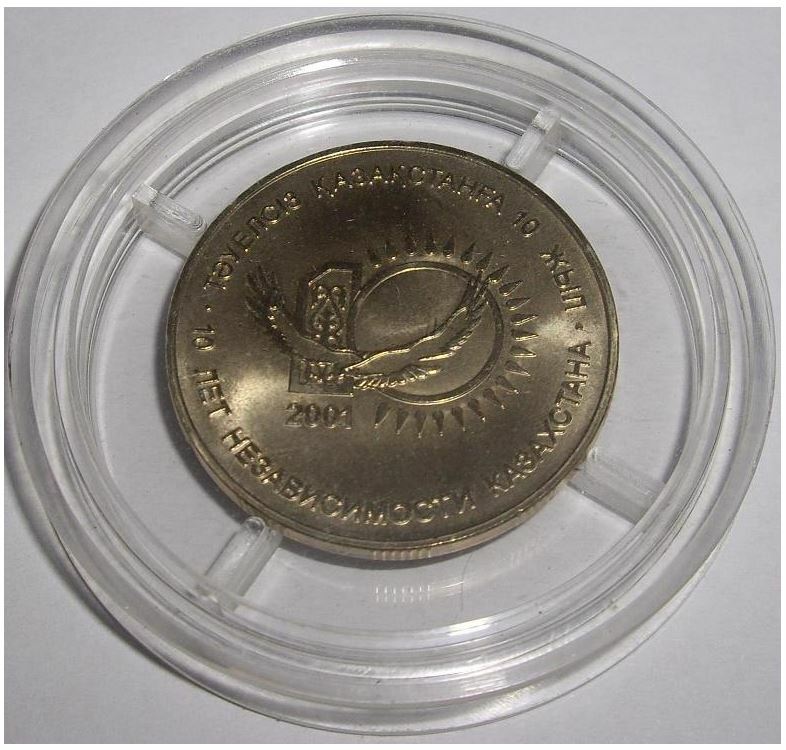 Very rare coin minted with special so called “antiproof” or “frosted proof” technology – convex area of the coin is shiny, the rest surface is frosted. 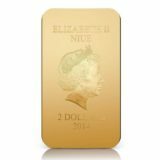 The mintage is ofiicially unpublished however there is information that just 200 coins were issued. 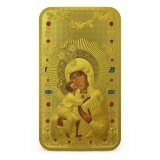 The coin is really hard to find and very collectable! 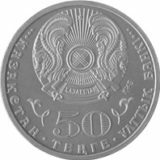 On the face of the coin (averse), on its upper side the state emblem of the Republic of Kazakhstan is located and under it there is a two-line inscription “50 TENGE”. 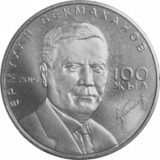 From the right and left side of the denomination there is the element of national ornament. 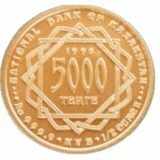 On the circumference there is the legend “National Bank of Kazakhstan” in Kazakh. 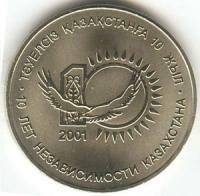 On the back side of the coin the official emblem of the celebration of the 10 years of Independence of the Republic of Kazakhstan and the figure “2001” are represented, which indicates the year of coinage. On the circumference there is an obtrusive edging.